Cappuccino white truffle: delicious hazelnut and white chocolate sweet, covered with cocoa powder. 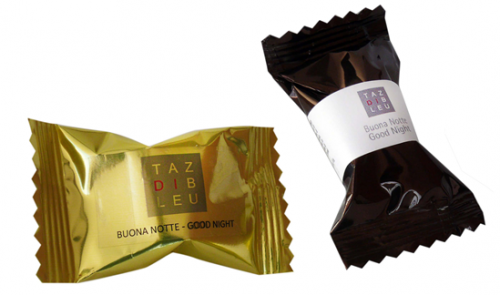 Liquorice truffle: soft hazelnut, chocolate and liquorice sweet covered with cocoa powder. Four colour digital print on white, ivory or opaline paper band or on transparent or white adhesive label.